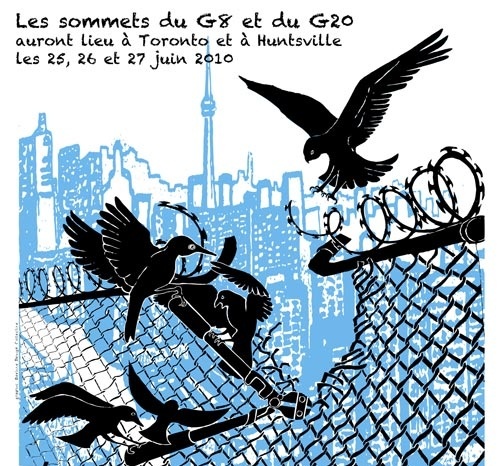 June 25, 2011 will mark exactly one year since the G20 Summit in downtown Toronto, which saw the biggest mass arrests in Canadian peace time history and an unprecedented degree of infringement of individual civil liberties and fundamental freedoms. These issues have not been resolved. Much remains to be done to shed light on what really did happen during that fateful summer weekend, why it happened and ensuring that it never happens again. "The Queen's Park festival is an opportunity to affirm our rights and show that Canadians care about their civil liberties," said CCLA General Counsel Nathalie Des Rosiers. "For one week last summer, the City of Toronto was turned into a police state, over a thousand people were arrested and the rights of thousands more were threatened. Every level of decision-making needs to be scrutinized to determine how this was allowed to happen and determine who was calling the shots," said OFL President Sid Ryan. "The suspension of civil rights is unconscionable in a democracy. It is shameful that one year later, we are still without a full public inquiry into the G20 security measures or the assurance that they would never be implemented again," said CFS Chairperson Dave Molenhuis. G20:REDUX will be a family-friendly event, featuring an upbeat, positive musical and political festival marking the one-year anniversary of the Toronto G20, emphasizing fundamental freedoms (speech, assembly) in public space. Additional details will be announced in the coming days.